Roth 401k allows you to contribute after-tax money to a 401k plan. The idea—if all goes well and you meet IRS requirements—is that you can prepay your income taxes today and take tax-free withdrawals in retirement. If you’re familiar with traditional 401k contributions, it might help to compare and contrast. 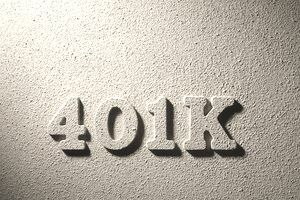 For decades, 401k plans allowed pre-tax (or traditional) contributions. Taxes on traditional contributions: Because traditional money has never been taxed, the IRS requires you to pay income tax on all the money you withdraw from traditional accounts funded with pre-tax contributions—including your own contributions plus any earnings over the years. Presumably, you pay those taxes in retirement, and ideally, you’ll be in a lower tax bracket at that point. But you could also withdraw funds early, which could result in additional taxes and penalties, depending on your age. Tax-deferral: As with most retirement accounts, you don’t have to pay taxes on earnings inside of the account every year. Distributions: When you take funds out of a Roth account at retirement, you may be able to do so without paying income taxes. However, that requires that you follow detailed IRS rules, including waiting until age 59.5 and keeping your Roth account open for at least five years. Speak with a tax advisor before making any decisions. Availability: Roth 401k contributions have been allowed since 2006. But it’s an optional feature, and some employers have chosen not to offer Roth. The limits for Roth 401k contributions are the same as for traditional 401k contributions. In 2019, the maximum you can contribute to a 401k (as salary deferral) is $19,000. You can do all of that as Roth, all of it as traditional, or you can direct a portion of your salary to each option. If you’re over the age of 50, you can contribute an additional $6,000 per year. In addition to contributing to a Roth 401k out of your salary, you may be able to convert existing pre-tax savings to Roth money in your 401k. To do so, you must pay tax on your pre-tax amount, and it’s often wise to fund the tax payment with outside assets (instead of using your pre-tax money, which could reduce the amount that ends up in your Roth account). Like the Roth option itself, in-plan conversions are an optional plan feature that some employers choose to offer. Assuming you have the option to make in-plan conversions and after-tax contributions (and your plan doesn’t fail certain tests), a 401k plan may allow you to use a “mega backdoor Roth” strategy. In practice, it can be hard for plans with multiple employees to successfully pull that off. Employee: When you direct part of your salary to a 401k, you’re making “salary deferral” contributions (also known as “employee” contributions). For those contributions, you can choose whether you want to make traditional, Roth, or both types of contributions—up to the total annual limit. Employer: Your employer might also contribute to the plan and help you accumulate retirement savings. Those contributions, known as employer contributions, might be matching contributions, profit-sharing, or other types of contributions. Employer contributions are usually “pre-tax” contributions, and you typically need to pay tax on withdrawals from those accounts. Does it Make Sense to Use Roth? Roth 401k is simply an option, and it might or might not make sense for you. Speak with your tax preparer or a qualified tax advisor before making your decision. Across-the-board tax rate increases: If legislation results in higher rates, it’s possible that you’d pay taxes at a higher rate, even if your income remains the same. Moving up in the tax brackets: If your income increases and current laws remain unchanged, a portion of your earnings might be subject to higher income tax rates. Traditionally, the assumption was that you’d be in a lower tax bracket in retirement: You stop earning income from employment, and you have a relatively small income from Social Security (and maybe a pension). If that holds true, Roth could end up being the wrong move because you’d pay taxes during your highest earning years. But even then, the decision is not simple—several other factors could work in your favor (or not). The type of account you use could affect how much income you show on tax returns, which could impact other areas of your finances. We can never know what will happen, so you need to make some assumptions and educated guesses—and then live with the consequences. If you’re not confident one way or the other, you can diversify your savings by making both traditional contributions and Roth contributions. That way, you’ll have the option to pull from whichever account works best for you when you need funds. Maximums: Roth 401k has higher annual savings limits, allowing you to maximize your after-tax savings. Income limits: To be eligible for Roth IRA contributions, your income must be below IRS limits. But those income levels do not disqualify you from making Roth 401k contributions or in-plan conversions. Easy access? You can generally pull your contributions back out of a Roth IRA at any time without taxes and penalties (but check with your CPA before doing so). However, Roth 401k distributions might require you to take some of the earnings pro rata, resulting in potential income taxes and penalties if you withdraw funds early. Important: The information on this site is provided for discussion purposes only. It should not be used to make important financial decisions that could have expensive consequences. Speak with a qualified professional who has a detailed knowledge of your situation before making any decisions.